No one would have expected the Texas State Society to throw a party in honor of a Democrat. But the Black Tie and Boots Ball was a night to remember. 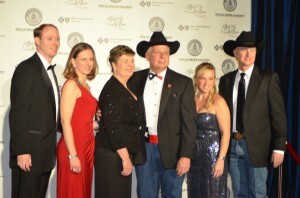 Texans, celebrities, and party-goers attended the ball which was filled with Lone Star food, original country music from hom-based bands, and lots of cowboys and blue jeans. Texas is a heavily red state. This past election, 41% of Texans voted Democrat compared to 44% percent in 2008. The ball was held at the Gaylord National Resort in National Harbor, Maryland.